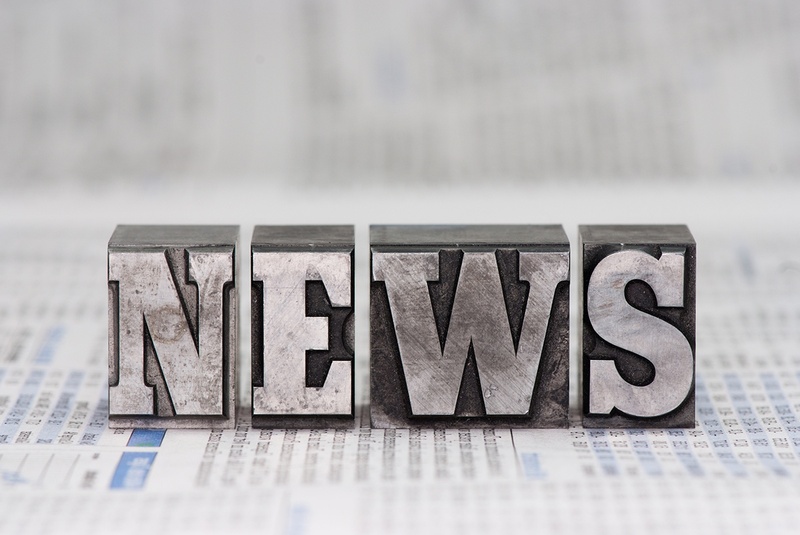 BOLTON, MA, JUNE 29, 2018 – Headwall has elected Christopher Calling to Headwall’s Board of Directors, effective immediately. Mr. Calling brings to Headwall a very strong focus on customer strategy development and the sales & marketing of high performance spectral instrumentation in application areas of high growth and technology adoption. As one of the original founders of Andor Technology Ltd (Belfast, Northern Ireland), Mr. Calling was instrumental in building and driving Andor’s worldwide annual revenue in excess of $150 million. 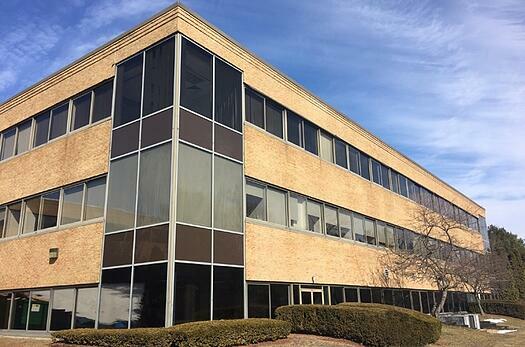 During this time, he served as President of the Americas and global sales director. He was also responsible for the development and implementation of Andor’s global sales, marketing, and OEM partnership strategies within the spectroscopy and imaging market. Chris also served as a Board member at Andor for more than 10 years. In addition to sales and marketing leadership, Chris helped drive the company’s M&A activity through multiple acquisitions. Headwall Photonics is a leading designer and manufacturer of spectral instrumentation for remote sensing, advanced machine vision, medical/biotech, and government/defense markets. 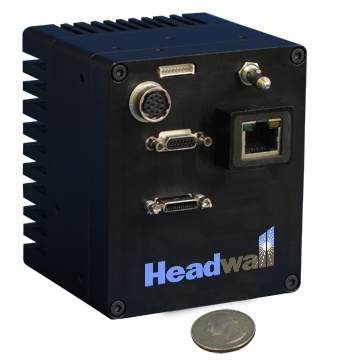 With a worldwide base of end-user and OEM customers, Headwall enjoys a market leadership position through the design and manufacture of spectral solutions that are customized for application-specific performance. 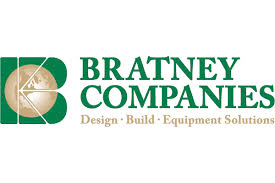 The Company is based in Massachusetts where it has two locations (Bolton and Fitchburg). European operations (Headwall BVBA) are located near Brussels, Belgium. Bolton, MA, March 8, 2017 — Headwall’s compact and light Micro-Hyperspec is a hardened Commercial Off-the-Shelf (COTS) imaging sensor now deployed on Claire, a small low-earth-orbit (LEO) satellite produced and launched by GHGSat (Montreal, PQ Canada). At an altitude of 512km in a sun-synchronous polar orbit, the satellite collects high-resolution image data that targets greenhouse gas (GHG) and air quality gas (AQG) emissions at industrial sites around the globe. With a robust sensor design focused on performance in harsh environments, Headwall’s Micro-Hyperspec operates at the Visible-Near-Infrared (VNIR) range of 400-1000nm with very high spectral and spatial resolution. Having just completed its 500th measurement, the work undertaken by GHGSat and the Claire satellite is extremely beneficial in broadening the amount of environmental data that researchers can use to monitor carbon-based emissions from industrial sites. Site owners can also monitor emissions themselves by accessing data from GHGSat, anywhere on the globe and in near real-time. Hyperspectral imaging technology, also known as imaging spectroscopy, provides a highly resolved view of earth monitoring at ranges far beyond the visible and across hundreds of spectral bands. A sensor proven for military/defense applications, Headwall’s Micro-Hyperspec is small, light, and robust spectral imager for LEO satellite use. GHGSat represents the latest commercial satellite payload for Headwall. “Small, commercial satellites such as GHGSat represent an important remote sensing tool for researchers,” said Headwall CEO David Bannon. 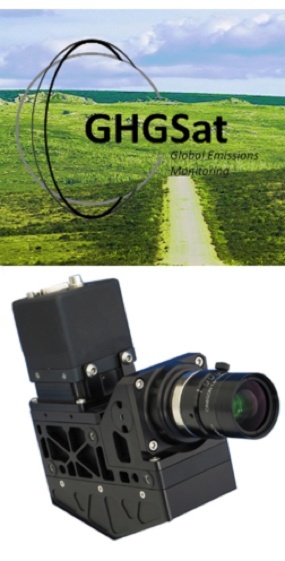 “Breaking from the traditional high cost, high risk space development, Headwall’s performance and affordability are unmatched for these small-sat programs, and we’re very proud to be aboard GHGSat’s Claire satellite.” Fundamental to all Headwall solutions is a patented sensor design that maximizes spectral and spatial resolution and signal throughput while minimizing image aberrations across a wide field of view. The Micro-Hyperspec sensor is small and light enough so that it can be one of several instruments on a nano-satellite. In addition to VNIR, Micro-Hyperspec is available in SWIR, NIR, and Extended VNIR versions. 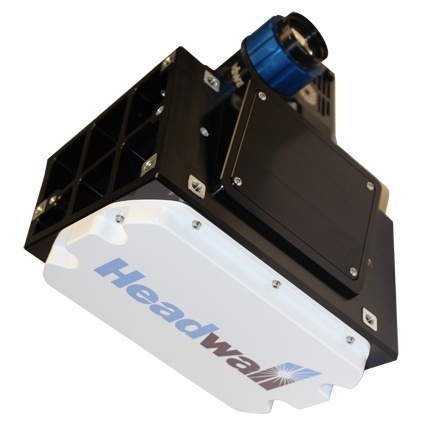 Headwall Photonics is a leading designer and manufacturer of hyperspectral imaging spectrometers and spectral instrumentation for industrial, commercial, and government markets. Headwall’s high-performance instruments are in use by end-user corporations, OEMs, and universities around the world. Headwall enjoys a market leadership position through the design and manufacture of spectral instrumentation that is customized for application-specific performance. GHGSat has built and launched the world’s first satellite capable of monitoring greenhouse gas (GHG) and air quality gas (AQG) emissions from any industrial site in the world. GHGSat’s novel technology will enable GHG and AQG measurement with better accuracy at a fraction of the cost of comparable alternatives. Owners of industrial facilities anywhere in the world and in near real-time will be able to monitor all of their facilities, local or remote, with a common technology. Significantly improved data collection technologies will enable industries to better measure, control, and ultimately reduce emissions of GHGs and AQGs. Fitchburg, MA, January 24, 2016 — Headwall has responded to market demand for a spectral imaging sensor that collects chlorophyll fluorescence (CF) data vital to understanding plant and crop photosynthesis. Applications such as crop science and climatology will benefit from this new instrument, which features industry-best size, weight, and resolution specifications (0.25nm). Other important specifications include SNR of 680:1 and 1,600 spatial pixels. The sensor collects image data at extremely high resolution across the chlorophyll fluorescence emission spectrum from 670 to 780nm. This allows both the important ‘Oxygen-A’ and ‘Oxygen-B’ bands (O2-A and O2-B) to be exploited for more accurate insight into photosynthetic processes. The sensor uses an all-reflective approach and Headwall’s own precise diffraction gratings, mean­ing high signal-to-noise performance vital to capturing scientific-grade data across this critical spectral range. 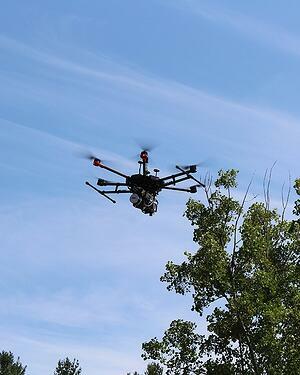 The new sensor is small and light enough for use aboard many of today’s commercial available UAVs, and it can also be used aboard aircraft and satellites. The sensor weighs about 6kg (13 lb.) and its footprint measures 300x200x200mm (12” x 8” x 8”). 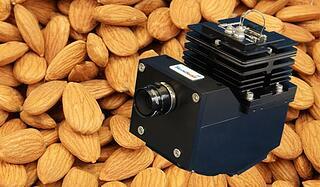 The Hyperspec Fluorescence sensor is available for delivery 8-12 weeks after order. Fitchburg, MA, March 8, 2016 — A European Union medical consortium has successfully deployed advanced hyperspectral imaging technology from Headwall in a brain cancer surgical trial that allows doctors to easily visualize the presence of hard to detect cancer tissue in the brain. Hyperspectral imaging presents an advanced, highly resolved view of brain tissue, allowing doctors to very accurately discriminate between healthy and cancerous tissue in a non-invasive manner based on the chemical composition of the tissue. 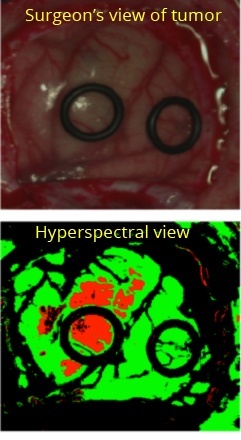 Hyperspectral Imaging Cancer Detection (HELICoiD) is built around utilizing Headwall’s Hyperspec® sensors to deliver high spatial and spectral resolution, aberration-corrected imaging so that neurosurgeons can identify brain tumor margins for resection in real time. Additional integration work is underway now to move this technology forward and into additional trials worldwide. 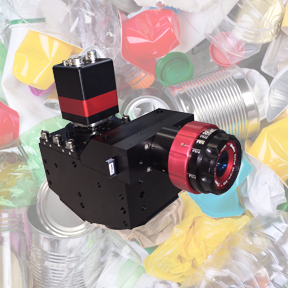 According to Mr. Luis Segui, Chief Operating Officer of PICVISA, "In-line sorting and recycling of plastics represents a perfect application for hyperspectral imaging.We have always focused on innovative, cost-effective solutions to differentiate our company and Headwall, like PICVISA, is the leader in the field of advanced process vision." In describing the collaboration, Headwall CEO David Bannon noted "This is a targeted sensor solution addressing a critical environmental need," noted Bannon. "A strong technical team comprising PICVISA representatives, our distribution partner Alava Ingenieros located in Spain, and Headwall's application engineering team worked to develop a customized solution for PICVISA's market. The result of this effort is that PICVISA's customers can take advantage of very cost-effective imaging solutions that represent the next generation of process vision technology." Headwall's award-winning Hyperspec NIR image sensors are integrated into PICVISA's new ECOPACK systems slated for worldwide deployment. The spectral range for the hyperspectral sensors will be the Near-Infrared (NIR), spanning 900-1700nm. Headwall's precision optical technology, based on aberration-corrected gratings in an all-reflective design, allows for deployment of vision technology across very wide conveyor belts collecting and processing information at very high speed. This allows PICVISA to significantly increase throughput across the recycling operation. The high spectral and spatial resolution of Headwall's Hyperspec NIR sensor means that even similar material sets (such as plastics sharing the same color) can be distinguished and separated based on the spectral signature of each distinct material. spectrometers and spectral instrumentation for industrial, commercial, and government markets. Headwall's high performance spectrometers, and spectral engines have been selected by OEM and end-user customers around the world for use in critical application environments. Headwall enjoys a market leadership position through the design and manufacture of patented spectral instrumentation that is customized for application-specific performance. PICVISA is a Spanish manufacturer of equipment and solutions based on image processing. Optimized software combined with the latest camera technology and illumination systems allows PICVISA to supply the market with robust, efficient and high-quality systems. The patented PICVISA systems provide industry with a wide range of information not available with other optical solutions. This information is properly used to improve the detection of different materials that previously could not be separated using other vision systems or detection solutions. With the latest developments in optical sorting of recyclable materials, PICVISA collaborates in the achievement of a Sustainable Future. Headwall Photonics is represented in Spain and Portugal by Alava Ingenieros Group. 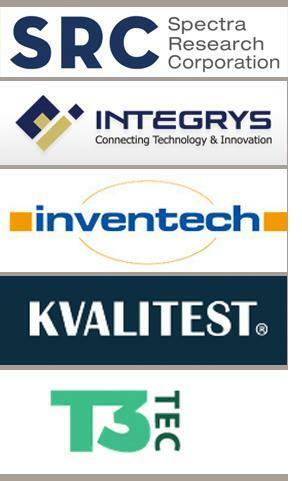 The privately-owned Company provides high technology solutions in the Testing, Measurement, Communications, Security, Defence and Preventive Maintenance fields.The Group offers consultancy, engineering, distribution, training and technical services, providing turn-key projects for several sectors including Aerospace, Automotive, Security, Defence, Energy, Communications and Finance, as well as Testing and Research Centres, Universities, Public Services and Industry in general.